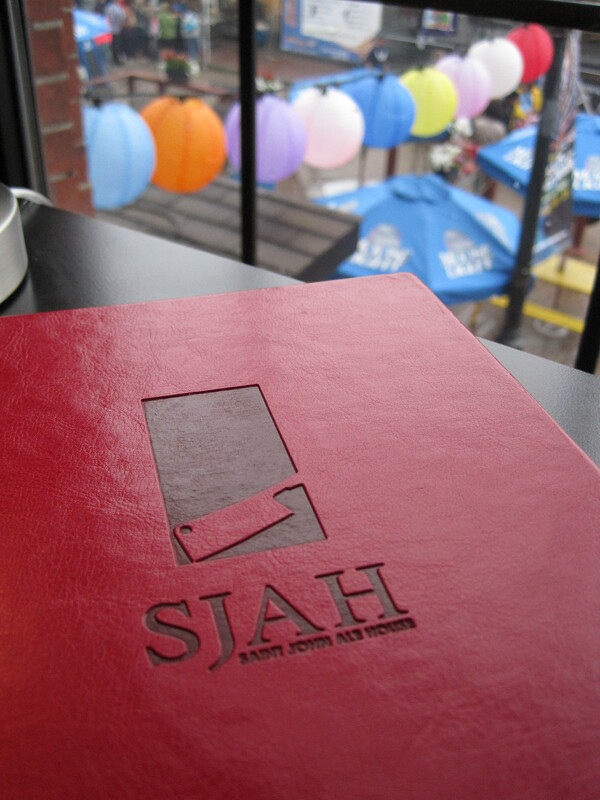 I readily admit my skepticism when the Saint John Tourism Rep sent me a list of potential dining spots; frankly The Saint John Ale House did not jump out at me as a desirable Saturday-night-in-Saint John, fine ‘pub(ish)’ dining option. Having quaffed many a Brown Pop in numerous Ale, Road, Pub and Honky-Tonks in Halifax, Toronto, and Vancouver over the years, the stale air and stinky carpeted, rowdy student drinkers serving deep-fried pepperoni joints were not on my list of potential gastro-pub grub to enjoy. 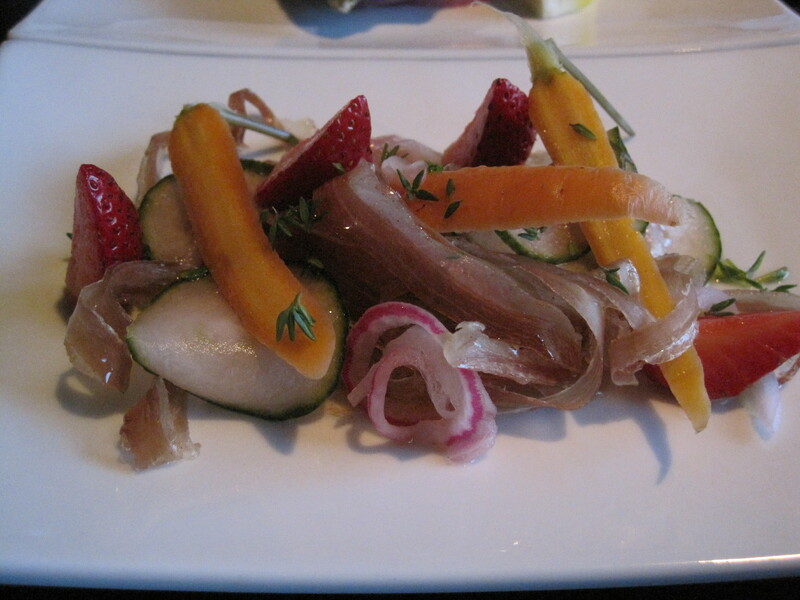 However, I dig in, do my research and discover the praiseworthy and progressive pub food offerings of Chef Jesse Vergen. 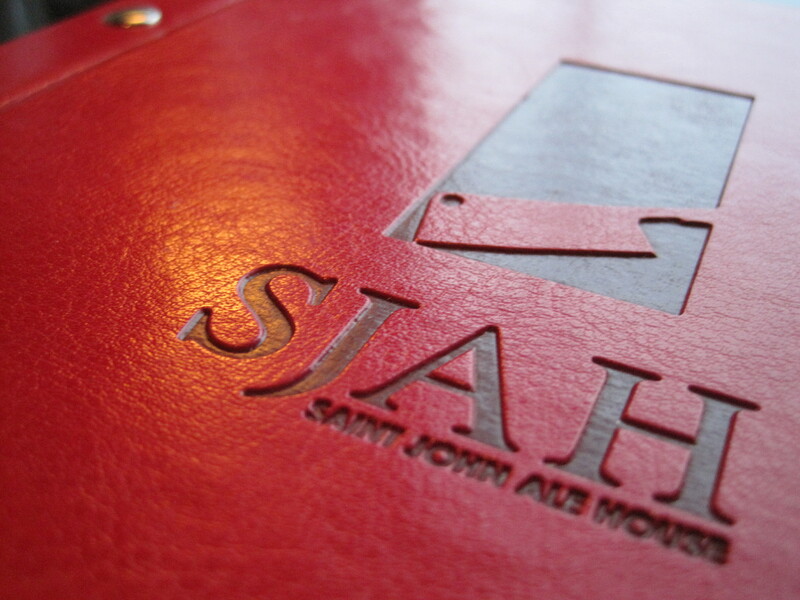 The Saint John Ale House, situated on Market Square on a prime piece of enviable real estate in downtown Saint John, is at first glance exactly that: a rowdy, high-turnover, Ale/Road House of a Fish ‘N Chippy kind of place. The Ale House’s first impression is a bit of a stumble: their front of house kept us and 5 other hungry and thirsty patrons waiting unattended, for over five minutes, while a busy Saint John Saturday night’s annual Buskerfest partied outside. However, this initial stumble soon became a lovely run once we were inside, seated, a couple of locally pulled Ales to warm the foggy mood up; the Fishy Chip-iness a distant memory. Owner/Partners Peter Stoddart and Chef Jesse Vergen take pride in offering locally grown produce, meats and fish from New Brunswick farmers in many of their menu items and daily specials and in fact, much of the House’s produce comes directly from Chef Vergen’s own Quispamsis Farm Garden. 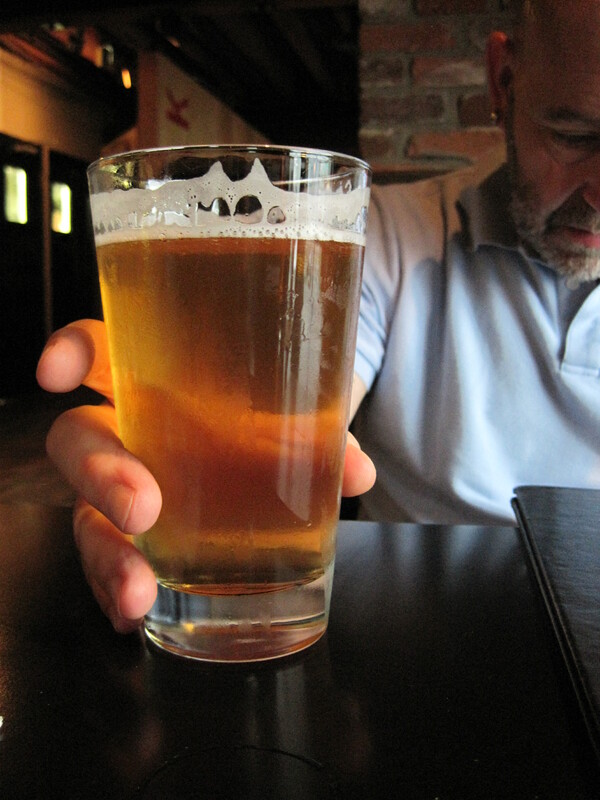 They also offer the largest selection of beer in Saint John, including several local craft beers including Moosehead Cask Ale made exclusively for the House and boast an impressive and extensive wine list and serve creative cocktails hand-made by their trendy mixologist. Both Stoddart and Vergen welcome us personally at table, thanks in due to the reservation and Twitter conversations we had been having but more likely just some down-home Saint John hospitality. Chef Vergen speaks passionately about his food and his self-producing Quispamsis farm and quickly and easily convinces us to ‘ put ourselves in his hands’ for the evening’s tastings. My personal shell fish allergy concern is soon alleviated and we tuck in. We start with a Saint John ‘amuse bouche’ of Fire Grilled Dulse,”Dark Harbour, Grand Manan” Beach Cured Seaweed, a salty, crunchy, crispy starter. Lance, our knowledgeable and trusty waiter recommends a couple of local pulled beers to compliment. Next Watermelon Salad, tossed with baby ‘Quispamsis, NB’ Organic Lettuce (Chef`s Farm), and finished in a Berry Vinaigrette. A refreshing pallet cleanse from the salty, sea-tang of the Dulse. 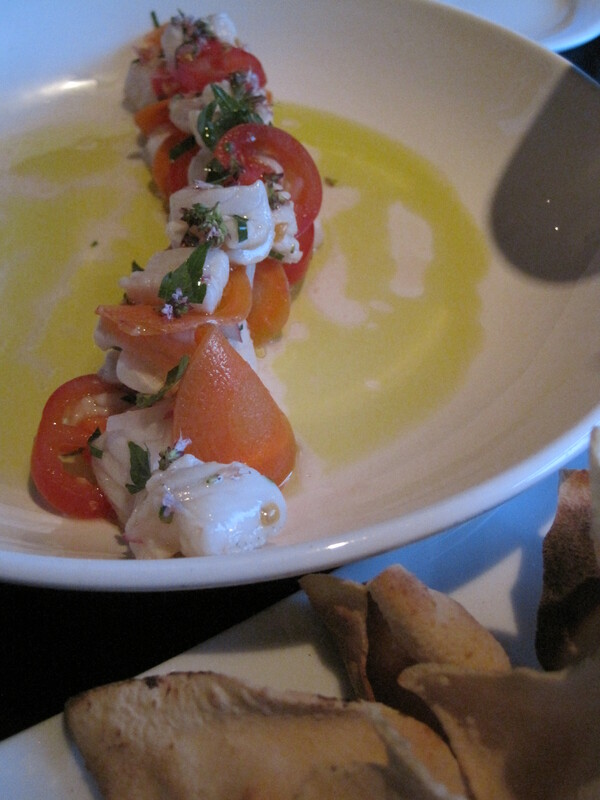 A Ceviche of Halibut follows with a side of House-Made Pappadams for crunching and noshing. Yum! Oysters for John and Shaved Duck and Chef’s Quispamsis Farm Organic Garden greens with pickled radish and carrot charcuterie for me. Again, Yum. 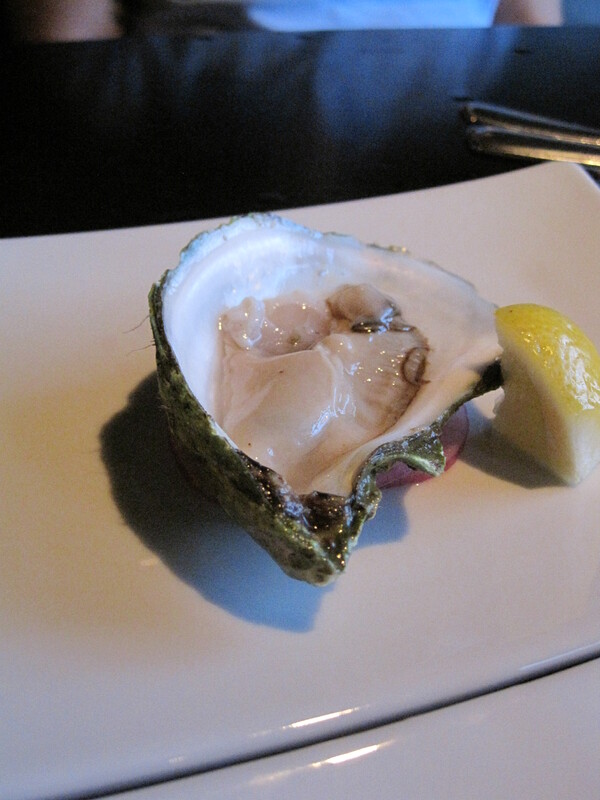 Next come locally sourced Periwinkles, beautifully presented and served with Basil Aioli. 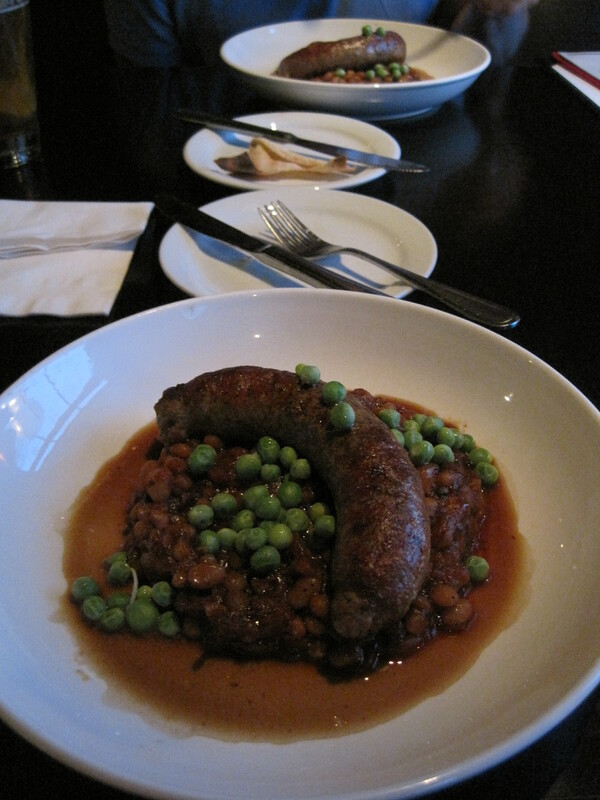 Saint John Ale House Beans and Wieners: ‘Perry’s Butcher Shop, NB’ Fresh Pork Sausage, the Organic Navy Beans gently stewed in the slow cooked sausage drippings and Crosby’s Molasses finished with some fresh seasonal Peas. Dear God. We could have eaten this all night! Finally a wonderful, Asian-inspired Striped Sea Bass, quickly deep fried whole and garnished with seasonal pickled carrots, ramps and finished with a soy-scented sauce. This is a perfect plate to share with the table, encouraging casual noshing, picking and beer-enhanced conversation. Lance keeps the local brews flowing, answering our hoppy questions and pairing them with the food Chef Vergen continues to personally parade to the table. What a guy! We finally have to tell Chef to stop the flow of delicious food but he counters with ‘Dessert’? We are happily full and ‘fully’ decline. Many thanks to Chef Jesse Vergen, Peter Stoddart and the entire staff at the Ale House for welcoming us with some wonderful Saint John and Ale House, Hospitality! Travel and Eat Saint John Well, My Friends!